Loved for their casual-sporty designs and devotion to comfort, Supergas are worn by in-the-know fashionistas in Europe and all over the world. 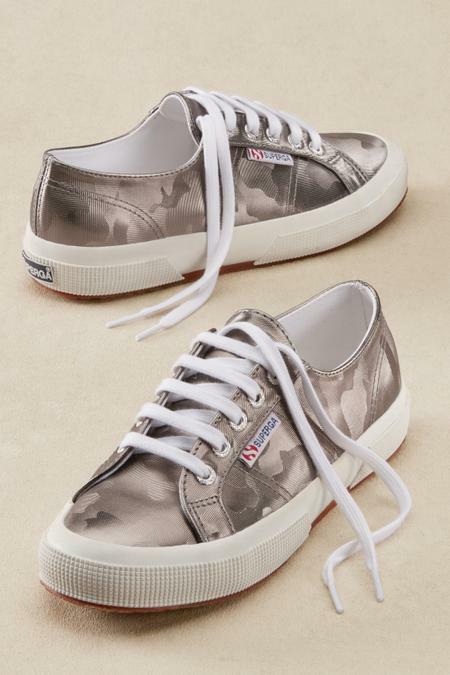 These iconic sneakers are freshly updated with a metallic camo print in a modern neutral hue, and finished with a breathable cotton canvas insole and cushioned rubber sole. 1" heel.